While the NTT DoCoMo’s smell-o-phone still remains to be seen, NTT’s scent technology has made it into the wild. 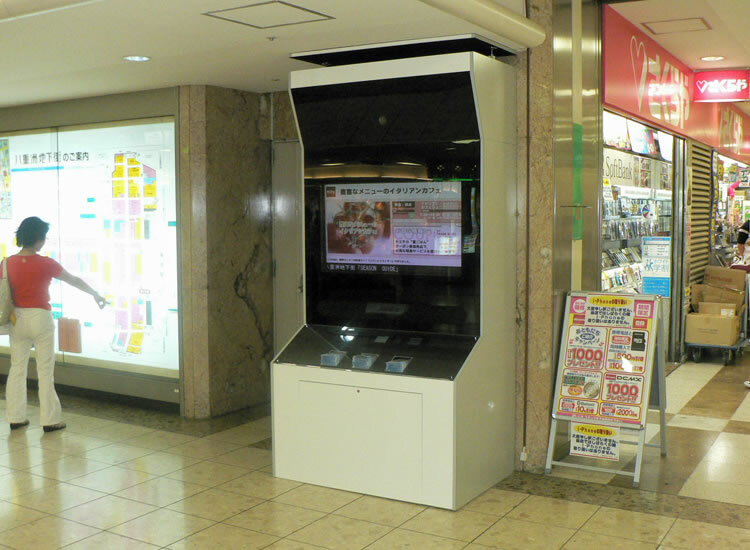 Recruit Co Ltd has released a unit that emits appetizing scents along with video advertising offerings from cafes and restaraunts in the underground mall of Tokyo Station. This system is the first of its kind, and Recruit is monitoring it closely to gauge the sucess of drawing customers over to the machine to not only interact with it, but grab a copy of the coupon books advertising the restaurants. I wonder if the smells are realistic. While we are still years away from smell-o-vision being in the homes of people worldwide, this is a large step in that direction. Scratch-and-sniff has officially become technology of the past.